One lesson that Erin and I are learning is that money doesn't grow on trees. Of course we knew this before getting married, but I guess we're starting to realize how quickly expenses add up. We thought it would be fun in the coming weeks to share some things we're doing to keep money in our wallets (purses) and still eat a full meal and have fun. One of the biggest expenses that can easily add up - especially in a big city - is buying your coffee, latte, or mocha from Starbucks. Thankfully, some Christmas gifts this year included gift cards to the Seattle-based coffee company, so we can enjoy the convenience of grabbing a coffee on our way to work. But recent economic news will have us thinking differently once those gift cards run out. 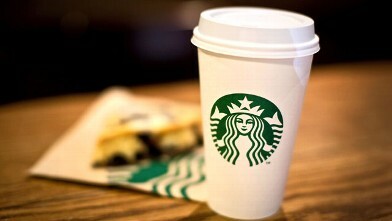 On Tuesday, Starbucks announced it will raise prices by about 1 percent in some areas. It's unclear if Denver will see the jump in price, but places like New York City, could see their tall brewed coffee increase by 10-cents. Sorry, Shawn. ABC News reports that natural disasters, shrinking supplies of various materials and other events led to an increase in commodity prices, which is resulting in food prices to increase. Lucky for Erin and I, we received a pretty awesome coffee maker from my little sister Allie for our wedding. Not only do you get coffee for your entire walk to work, but your entire kitchen and living room offers a wonderful coffee-flavored aroma. Mmm, it's a beautiful scent to wake up to.